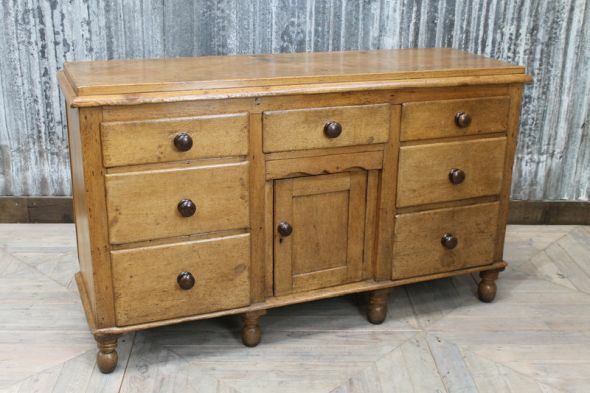 This stunning antique pine sideboard is a lovely piece of Victorian furniture. 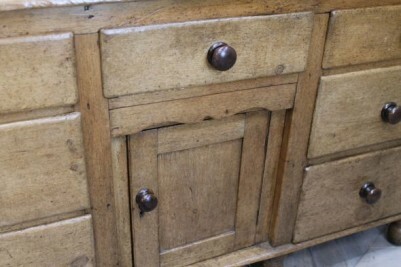 The sideboard features seven graduated drawers, with a small dog kennel cupboard in the centre. 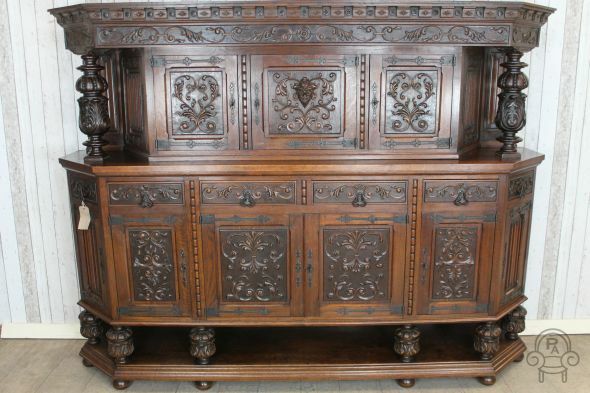 We believe this sideboard dates from circa 1880, and it is in lovely condition for its age. 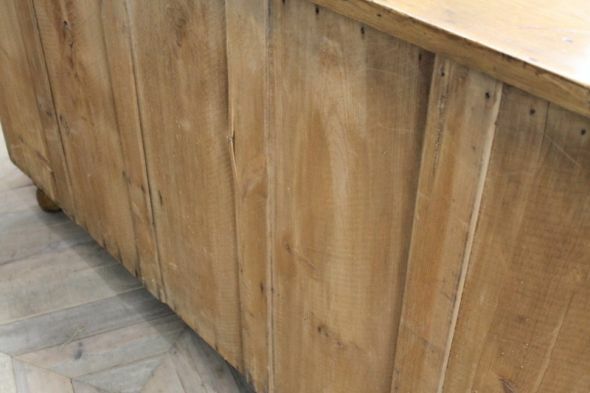 The sideboard has its original feet and handles, and only has slight wear and tear consistent with an item that is over 100 years old. It is rare to find a piece like this in such good condition; many similar items have been painted or stripped with caustic, but this sideboard must have been stripped by hand and well looked after over the years. 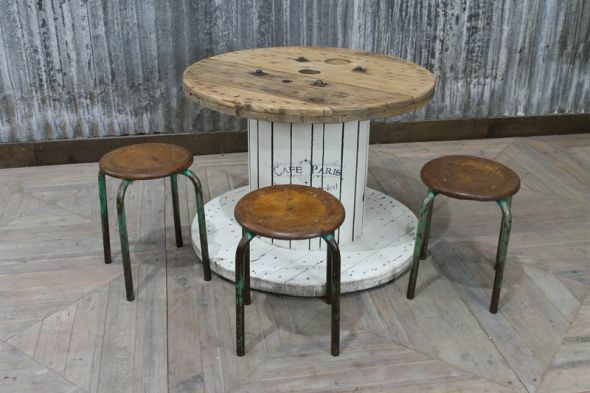 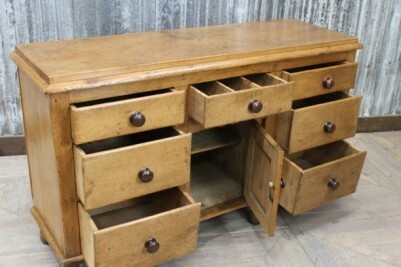 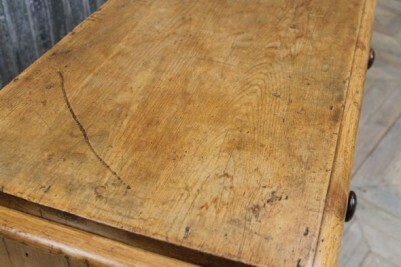 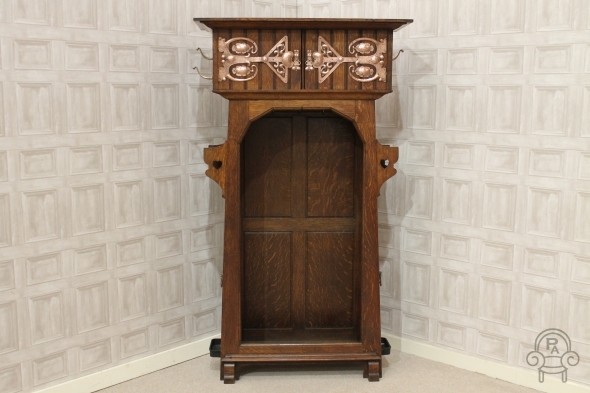 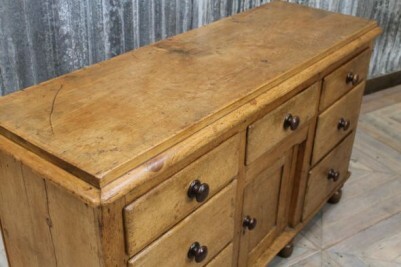 A beautiful piece for a large farmhouse kitchen or period home.